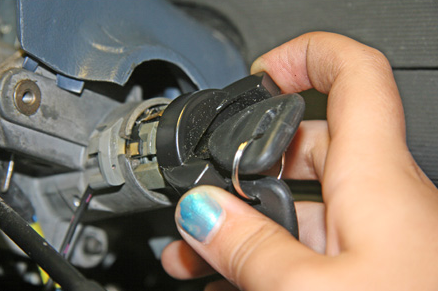 The ignition switch is one of the most important components of a vehicle. 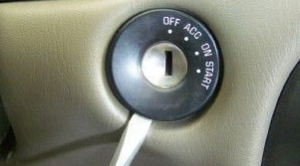 This is because if this switch is not functioning properly it becomes almost impossible to start the vehicles. The switch not working properly can cause a lot inconvenience especially when the driver needs to drive somewhere urgently. Consequently, it is important to ensure the ignition switch is functioning properly and is well maintained. However, just like all other mechanical components this switch can experience problems even when it is always used properly. In such a situation it is always paramount to get a competent locksmith like ATL Locksmith Pros to do the repairs. The ignition switch can fail to work because of various reasons. One of the primary reasons is the ignition key breaking or jamming inside the switch. In such a situation it is not advisable to try removing the key forcefully. This is because using excessive force can make the key get even more stuck. The best thing to do if the key breaks or gets stuck inside the switch is to contact good locksmiths such as ATL Locksmiths Pros. The locksmiths have the necessary skills and tools to remove the key effectively. It might be necessary to remove the entire switch so as to remove the key. But in some situations the problem can be solved without necessarily removing the switch. Another common issue that can hinder the switch from functioning properly is just normal wear and tear. After the key getting inside the switch for some times, the inside properties of the switch wears out and this can prevent the key from starting the car. In such a situation, ATL Locksmith Pros will have to replace the switch with a better one. We will replace the switch within a short time and therefore avoid the inconveniences that come with the vehicle not starting. It is also common for people to lose the keys to their cars which mean the ignition switch cannot be used. This is a common issue which can be very stressing because a key from a different vehicle cannot be used to start the key. Therefore, in such a situation a replacement key needs to be made. The entire switch can also be replaced to replace it with a functional one. ATL Locksmith Pros will provide helpful advice on which is the best course of action to take. 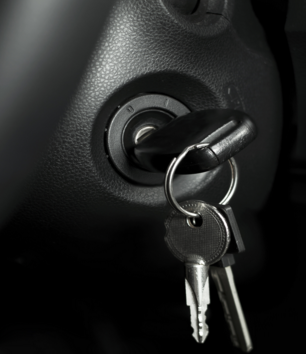 One of the most important aspects of competent locksmiths providing ignition switch services such as ATL Locksmiths Pros is being able to respond as soon as possible. This is paramount because most ignition issues require being resolved within the shortest time possible. The locksmiths have contact forums which the vehicle owners can call regardless of the time. The locksmiths also have reliable modes of transport which can be sent out at any time. Furthermore, there are enough qualified locksmiths who can respond to different clients simultaneously without some of the drivers being kept waiting. Another important aspect is we have the efficient tools. This is important because some switches are modern and they require being repaired using the right tools. The competent locksmiths like ourselves use the modern tools which are not only more efficient, but they also work faster. Furthermore, the locksmiths are very professional when it comes to provision of the various services. Therefore, when faced with an ignition switch issue, it is always advisable to contact competent locksmiths such as ATL Locksmith Pros so as to get good quality services. My key got stuck into my ignition last week and these guys showed up and were able to bail me out in no time at a not so expensive rate. I will definitely use these guyus again if ever in another jam.